Virtual reality is the latest technology that is going to create big changes to the digital world in the coming years. Facebook brought the attention of the audience to virtual reality when it purchased Oculus. After this Google, Samsung, Microsoft and Sony followed Facebook and made investments in this technology. Online video is compelling, and marketers are going to spend more on digital video ads more in the coming few years. The virtual reality live video offers a high degree of interactivity with the consumers. The broadcaster can get insights of how the audience is responding to their content. Virtual reality video at low-end was introduced to masses in 2015. People realise the value of VR in digital marketing. The mobile-driven virtual reality is going to introduce the technology to more people in the coming days. The first VR cinema is going to be set up in Amsterdam this year. Similar locations are going to opened in various cities such as Paris, London, Madrid and Berlin. Another trend in virtual reality is the drone races. Many games are going to come out on VR platforms. Major technology companies are gearing up to develop VR content and a tech war is going to begin. However, is good for the consumers as the VR product releases will accelerate. Another trend expected this year is the headsets going mainstream. These will hit the consumer market, and many options will be available. Smartphone-based head gear VR will also be made available to the consumers. Virtual reality offers great opportunities connect directly with the audience, from the brand perspective. VR is being used by many popular brands to create successful video campaigns. The common problems of brands when it comes to digital video advertising campaigns are failing to engage the audience, customers not recalling the marketing campaigns and little advantage over competitors. Virtual reality solves all the above problems of the brands related to digital advertising. To view the virtual reality content, the user has to wear the headset which will prevent distractions and helps pay more attention to the message. Virtual reality delivers the message strongly and can result in behaviour change. VR experience is going to be in the memory of the user for the longest time. Since VR is a novel idea in digital advertising, early adopters can benefit than the competitors who are yet to adopt this technology. The growth of video in the past few years is very rapid. 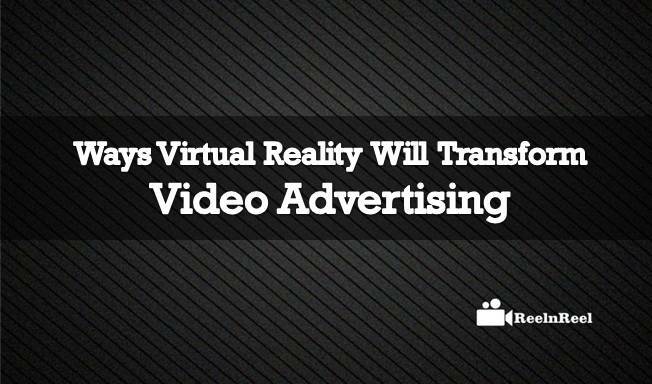 Marketers using virtual reality is the new trend in video advertising. Retailers of any size are using virtual reality to provide their customers with VR experience and thereby get benefits. Test drives are essential for the automotive brands. Virtual Reality is going to be the next generation of test drives as it fulfils the feeling of consumers experiencing the vehicle personally on the digital level. Volvo was the first to adopt this technology. It developed a Volvo reality app that allows taking a virtual test drive of one of its model. Food and Beverage are another industry that is adopting virtual reality to satisfy the craving and novelty of the consumers. McDonald embarked on virtual reality. A complementary app requires to download, and special meals can purchase. Virtual reality is a marketing tool for brands for many brands. Virtual reality allows brands to increase the consumer attention to their content. The consumer transported to a fascinating world through virtual reality, and this captures the consumers on an emotional level and drives them to take action.